Killed at Williamsburg On May 5th 1862, John was 21 when he was shot down during the charge of the 5th NC. He was a Lieutenant in Company B of that Regiment. To find about more about John please click here. Richard was the Major of the 24th Virginia Infantry which saw fierce fighting on the Confederate left during the battle of Williamsburg. He left a stirring recollection of the 24th ill-fated charge that rainy day. To find our more about Richard Maury click here. For an interesting insight in Maury and mail service during the war years click here. Robert was 26 years old when he he removed two wounded comrades from the battlefield at Williamsburg. 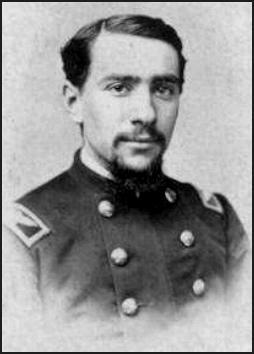 Then a corporal with Company B, 40th NY Infantry he would repeat this feat at Chancellorsville- the two actions resulting in him receiving the Medal of Honor. To find our more about Robert click here. In 1893 George received the Medal of Honor. His citation reads: "The President of the United States of America, in the name of Congress, takes pleasure in presenting the Medal of Honor to Captain George Washington Mindil, United States Army, for extraordinary heroism on 5 May 1862, while serving with Company I, 61st Pennsylvania Infantry, in action at Williamsburg, Virginia. As aide-de-camp Captain Mindil led the charge with a part of a regiment, pierced the enemy's center, silenced some of his artillery, and, getting in his rear, caused him to abandon his position." To find out more about George including his germanic background and wartime career click here. Really interest in GW? Click here and start researching! Thomas was reportedly one of five Williamsburg Barlows to fight for the Confederate cause. Thomas, Henry, William, Robert and John Barlow all relations joined the Williamsburg Junior Guard which became Company C of the 32nd Virginia. While the 32nd saw limited action at the battle of Williamsburg, their commitment to the cause saw 50% of their 150 men regiment left on the field at Antietam. Thomas was in command at their surrender in 1865. At Appomattox the 32nd Virginia surrendered five men- John and Thomas were commanding the other three. To find out more about Thomas and the Barlows click here. Apparently Clancy was promoted to Sergeant of Company B-5th NJ Infantry on the field at the Battle of Williamsburg. In this imagine he is a First Lieutenant. The 5th was hotly engaged at Williamsburg on property which is now the intersections of Rt 199, 143 and 60. To find out more about Michael Clancy click here. L.Q.C. Lamar was the Colonel commanding the 19th Mississippi during the battle of Williamsburg. The 19th was hotly engaged through the day and the official records speak volumes to the trials and tribulations of that day. Lamar's life is a fascinating one. After the war Lamar worked diligently to bind the nations wounds. To find our more enjoy this book-available online! For more condensed additional reading click here. His home in Oxford Mississippi is now a museum. Harmon was Captain of Company G, 72nd NY Infantry. While the 72nd was hotly engaged here at Williamsburg Harmon came through unscathed only to be wounded at Chancellorsville. He passed three days later on June 6, 1863. To find our more about Harmon click here. Reportedly Swiss by birth, John was a Corporal in Company H of the 72nd NY Infantry during the Battle of Williamsburg when he was apparently captured in the infamous ravine. To find out more about John click here. Richard was 19 years old when he joined the 'Leon Rifles' which would become Company D of the 2nd Florida Infantry. Richard was never wounded in action and survived the war. To find out more about Richard click here. Captain Fleming of the Second Florida Infantry was severely wounded and captured at Williamsburg. He was exchanged and eventually shot down in 1864 at the age of 25. To find out more about Charles click here. 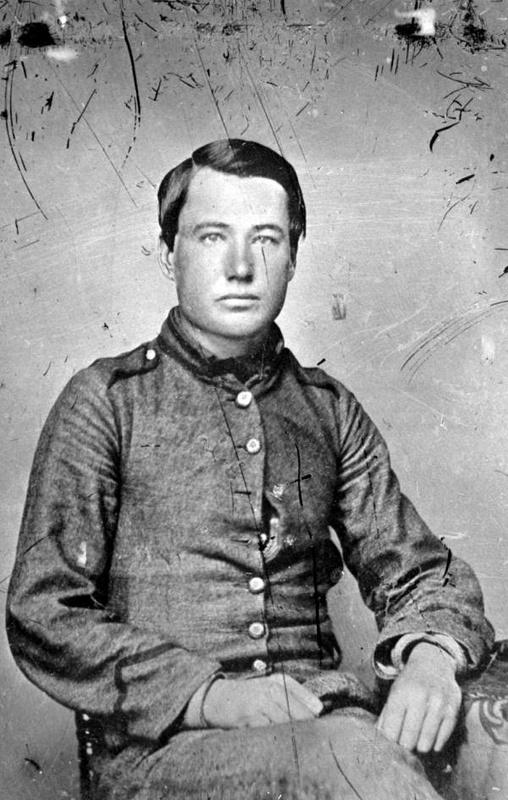 Robert Brewster was a 2nd Lieutenant of the 74th NY Infantry on May 5th 1862 when he was wounded at Williamsburg. He was awarded one of give gold medals given by General Sickles for his bravery there. This image is courtesy of Matt White. Brewster's personal bible also survives. To find out more about Robert please click here. George was a Private with the 2nd New Hampshire Infantry, Company B. He was captured a First Bull Run only to be exchanged and killed at Williamsburg 10 months later. Peter (left) and Alexander (right) Dibean. 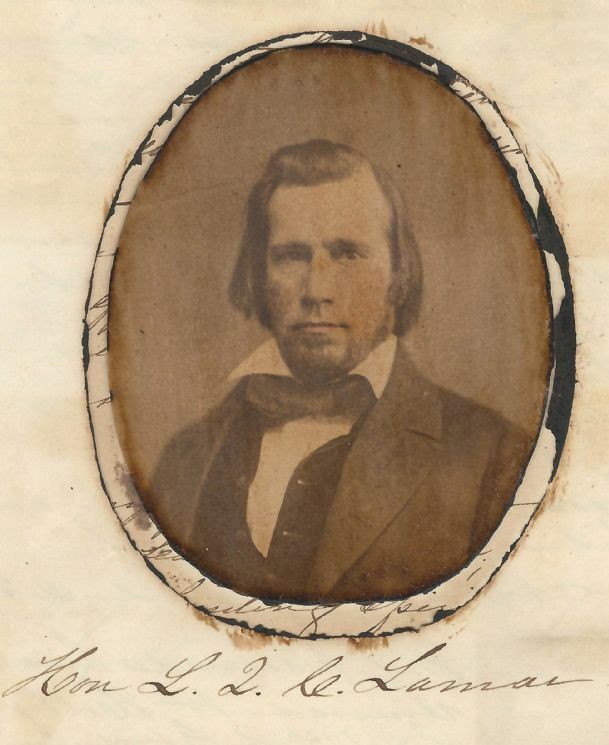 This father (Peter) and son (Alexander) enlisted in Company D of the 5th Michigan Infantry and fought at Williamsburg. The 5th helped retake captured Union cannon and in that struggle Alexander was wounded in the chest and hip. He recovered only to be wounded again at Fredericksburg. Peter was discharged in November 1862 only to join the 8th MI Cavalry. he was captured and confined at Andersonville. To find out more about Peter click here. To find out more about his son Alexander click here. Samuel was the Colonel commanding the 11th Virginia at Williamsburg. He was wounded in action but refused to leave the field. Four months later Brigadier General Garland was killed at Fox's Gap- South Mountain Maryland. Picture is courtesy of his alma mater VMI. To find out more about Samuel click here. Richard Walker was a Private with Company E of the 2nd New Hampshire Infantry when he was wounded at Williamsburg on May 5th, 1862. He died two months later due to his wounds at the age of 22. His mother was quoted as saying, "He was my only son, and the best boy that ever blest a mother. When he died, his father went to Fortress Monroe and brought his body home. The journey and his grief were too much. He was never well after that, an invalid, thirty years." Nathaniel was a Private in Company A of the 2nd New Hampshire. He was killed at the Battle of Williamsburg at the age of 23. To find out more about Lane and the 2nd New Hampshire click here. The youngest of 14 children. Reportedly a large man he was wounded several times during the course of the war. While commanding the 38th Virginia Infantry at Williamsburg he was shot through his right leg- several weeks later he would loose an arm at Malvern Hill. This would not however be the end of his service. To find out more about Powhatan Bolling Whitte click here. As Company F, 102nd Pennsylvania Infantry came up repulse the largest Confederate thrust at Williamsburg, "Jack" in his proper place in line too. "Jack" was wounded at Malvern Hill and again at Fredericksburg and would be alongside the Regiment until 1864. To find our more about "Jack" please click here.